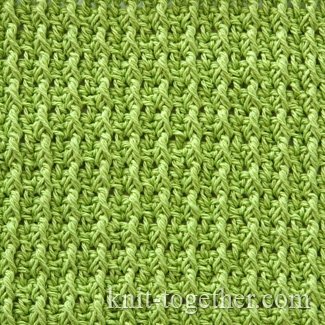 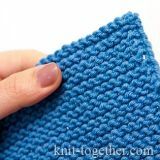 Dense crochet pattern is made of textural stitches (front post), which form the relief lines. 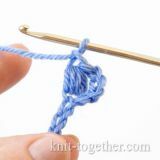 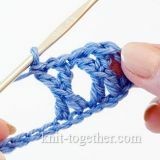 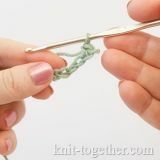 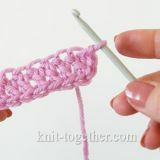 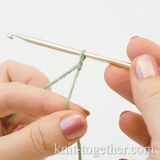 For an example make chain stitches a multiple of 2, plus 1 chain for the symmetry of the pattern, plus 3 turning chains. 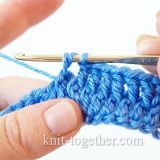 5 row: 3 turning chains, * 1 front post double crochet in front post double crochet of previous odd row *, 1 double crochet in single crochet of previous even row. 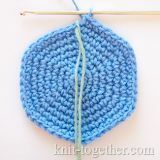 Then the pattern repeat from 4th row.